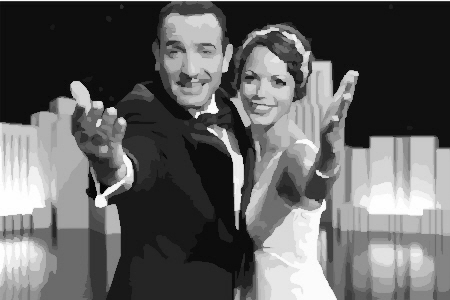 This week it was reported by The Telegraph here that a handful of customers at an Odeon cinema requested refunds at a screening of The Artist, complaining that they had not been aware that it was a silent movie. The internet, of course, took great joy in deriding these consumers for their ignorance, hailing them as philistines. My first response too, I’ll admit, was a roll of the eyes at the stupidity of the mainstream viewing public. Then I thought about it a little more. Are they really so stupid? Were they really wrong to request reimbursement after feeling they had been mis-sold something? It’s easy for those of us that live and breathe films 24/7 to mock the more casual audience, but put into a different context, maybe these people do not deserve our ridicule. A large percentage of movie-goers choose which film to see by merely the buzz, the trailer, or sometimes just the poster. OK, generally it is wise to seek information about any potential purchase, but there are some things people do take for granted. I didn’t read any of the reviews for Mission: Impossible Ghost Protocol before I saw it, and I barely even noticed the trailers or posters. I had read enough about it to want to see the film during its development, and so I paid my money and took a gamble. If the movie had been only fifteen minutes long, would I have had the right to claim a refund? Film durations are not stated on trailers or posters, and not having read any reviews, I would have not gotten the information that way. I assumed it was feature length, so would I have gotten what I had deserved if it had turned out to be a short film? This may sound like an extreme example, but it would be a comparable situation. We have come to expect movies to be around 100 minutes long, as we have come to expect a film to have dialogue. When a film deviates so significantly from the norm, as The Artist clearly does, perhaps there should be a clearer message at point of sale that it is in fact a silent film. The biggest argument from writers is that it was clear from the trailer that there was no dialogue. I have to say, even if these people had seen a trailer, it was not necessarily completely obvious when you bear in mind, the TV spots I have seen in the UK have had people talking about the film over the music, something which is also often used in spots for ‘talkies’. Trailers nowadays can no longer be counted on to provide an accurate portrayal of the nature of a movie, so a trailer that contains no speech would not necessarily suggest the film has none. Last year, someone filed a lawsuit against the people involved with the movie Drive, claiming it had been advertised in such a way as to present it as a similar film to The Fast and The Furious. Yes, a lawsuit was extreme, but I certainly feel in that case it would be reasonable to request a refund. Again, you can bang on about consumers seeking out the necessary information, but the promotional material put out by the makers of the film deliberately mislead people, in an attempt to draw more money on a flick which, let’s face it, was a tough sell to the mainstream audience. Every driving scene in the film is in the trailer; it’s natural for the audience to think there were more being held back. People don’t read reviews for films, in the same way they don’t read reviews of frozen fish fingers. If Birdseye are suggesting in their adverts that their fish fingers are made of fish, covered with a crispy, golden breadcrumb, and come frozen, that is what the consumer expects. If it also contained toothpicks, you wouldn’t be very happy. Could Birdseye counter this by saying that they just didn’t show that in the adverts? When Roland Emmerich’s Independence Day was released, there were several unscrupulous small cinema owners who screened some of the other films that have been released previously with the same name. They refused to give refunds, stating that the billboard read merely ‘Independence Day’, so they did not falsely advertise anything. I think we can all agree this was underhand, maybe even criminal. However, do we also feel the viewers should have sought out more information before paying to see it? Don’t get me wrong, I am in no way suggesting there were any underhand tactics employed by those responsible for marketing The Artist. As the first major silent movie in quite some time, people were just unprepared. I’m sure that as a result of The Artist’s success, there will be more silent movies being released in the next few years, and audiences will perhaps be more aware in future. I don’t think people were thick for being unaware of the nature of the film, and if the story is true, and not a way of gaining publicity for the film, I sympathise with them. I also commend the cinema management for agreeing to refund people. I think, actually, most bloggers biggest problem with the whole affair is that the people in question were not willing to sit through a silent film, that this makes the uncultured imbeciles. We all have different tastes in the types of films we like to watch. I don’t watch horror films. Not because they scare me, or that I can’t stomach them. It’s actually the opposite. The conceit of a horror movie is that it should be scary; it should make the viewer feel unsettled. None of them have this effect on me; I’m unable to suspend my disbelief enough for any movie to have this particular effect on me. Because of this, I have no real interest in them, and I realise I will take similar flak for this as those that walked out on The Artist, because I am unable to ‘appreciate’ the art form. I do, however, know of film writers that have walked out of 3D films, because the picture was too dark, and they could not endure it. There are many who believe that 3D is the future of film, and would say that these writers are hypocrites for valuing one type of experience over another. We are all guilty of film snobbery, and I myself find it frustrating when a terrible film like Transformers 3 draws huge amounts of money, and truly great films struggle to find an audience. I do not, however, belittle people when their filmic tastes do not coincide with mine. Yes, consumers do have a responsibility to make informed choices, but at the same time, the industry also has a responsibility to sell movies fairly. In a world where movie trailers are purposely manipulated to draw in the biggest possible audience, we cannot be surprised when movie-goers become increasingly confused over what types of movie they are going to see. As film writers, we have a responsibility to try and inform a potential audience as best we can, but I don’t think we necessarily have the right to make a mockery of those who don’t feel the same way about the same movies as we do. This entry was posted in Articles, News and tagged cinema, film, golden globe, odeon, oscar, refund, silent movie, the artist, walk out. Bookmark the permalink. It’s why I do get frustrated with those who don’t read reviews because “they don’t need others to tell them what they like”. Sometimes a review can merely inform them of things as opposed to telling them GO SEE/DON’T SEE.